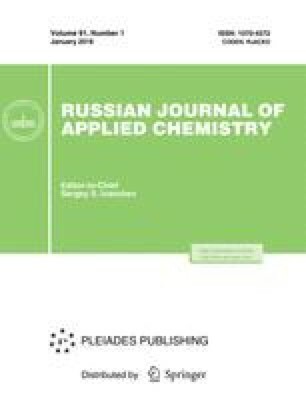 Physicochemical and sorption properties of a nonactivated shungite sorbent were studied. The immobilization of yeast cells of Kluveramyces sp. (strain 11 K) and Candida sp. (strain 10 K) and cells of oil-oxidizing bacterial cultures Mycobacterium sp. (strain 119–3 GM) and Pseudomonas sp. (strain 51 K) on this sorbent was examined. A comparative analysis of the accumulation of heavy metal ions and degradation of oil by free and immobilized cells of these microorganisms was carried out. The efficiency of application of biosorbents produced on the basis of the shungite support in water treatment to remove heavy metals and oil was studied. Original Russian Text © S.V. Efremova, 2006, published in Zhurnal Prikladnoi Khimii, 2006, Vol. 79, No. 3, pp. 404–409.